This is a new poster for Sicario: Day of the Soldado. 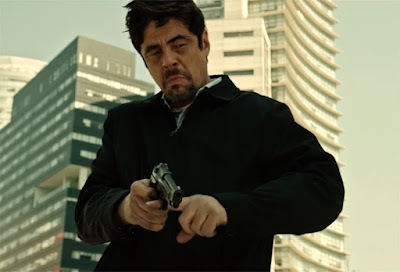 It is the sequel to the 2015 crime drama Sicario. It was written by Taylor Sheridan, directed by Stefano Sollima, and stars Benicio del Toro, Josh Brolin, Catherine Keener and Matthew Modine. It is set to be released by Columbia Pictures on June 29, 2018. Check out the synopsis and trailer below.